The safety of our products is a top priority for us. The development and improvement is made only on new vehicles. Data for software modification are solely determined on our MAHA dynamometer. 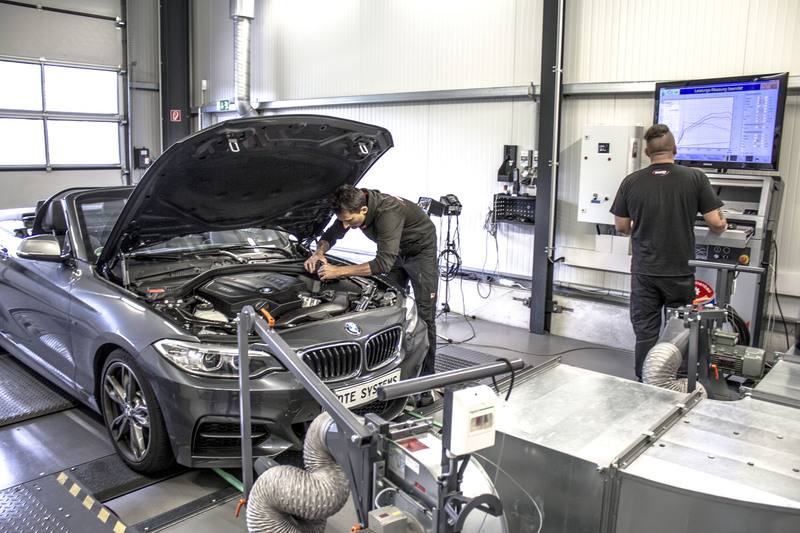 We only use thoroughly tested performance improvements in your vehicle which we put to the test in sophisticated trials simulating everyday use and prove engine compatibility. 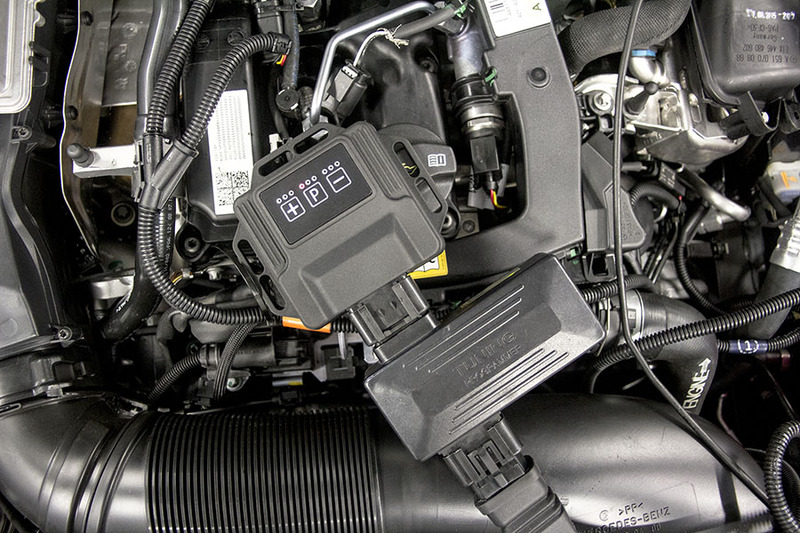 All the protective functions of the engine control unit of your vehicle are maintained as well as the use of electronic fault diagnosis obtained. The exhaust emission levels are not exceeded. Our philosophy is a "healthy tuning" taking advantage of the possible tolerances. Our goal is not the feasible maximum, but the wear-free optimum. Our tuning products, among them our PowerControl und PedalBox, manufactured to the highest safety and quality standards that apply in Germany. "Tuning customers should watch out for the quality label VDAT when buying a vehicle chiptuning. As a VDAT member the quality of goods is immediately visible for the end user. Tuning signed and sealed." We provide comprehensive warranty that goes even beyond the law in order to meet your satisfaction and keep the longevity of your vehicle. Part certificate available for over 3,300 models. With a DTE product, and for more than 3,300 different vehicles, a model-specific part approval certificate is part of the delivery. This part approval certificate enables you to receive the required modification acceptance without any complications at any inspection body. This inspection usually takes only a couple minutes and is executed by inspection bodies such as the TÜV, the DEKRA or a KÜS-expert, for example in Germany. Hence, the legal operation is possible even without a complex and costly individual registration (§21 StvZo; German law). All of our commissioned part certificates are issued by a recognized testing organization in Germany that has an accreditation from the Automotive Bundesamt. Accordingly, all of our part approval certificates are fully valid in Germany and Austria, and to be accepted by any recognized body. Please, pay attention to our note „with part certificate“ within our shop. Additional certifications for more vehicles are in process or in the pipeline. Find out more about how our products are tested by inspecting bodies confirming the increase in performance, compatibility with respect to the driving behavior and compliance with emission values. The following example of a Part Approval Certificate shows you the conformity.. Without a part certificate the installation of a chiptuning leads to the experiation of the General Operating License of your vehicle. In that case an allowable operation by restoring the operating license is possible only through a single inspection with a single screening at a competent inspection service according to § 21 StVZO (German law). We point out that the operation of a vehicle without first implementing the change approved by a testing institution in the papers, together with the registration will lead not only to the loss of the general approval of the vehicle and is thereto also connected to the loss of insurance coverage accompanied. Incidentally, the following applies: Every increase in performance caused by a chiptuning has an affect towards the statutory warranty claims against the seller or the warranty claims against the manufacturer.